Waylon has lots of ideas for making life more awesome through science, like teleportation, human gills, and attracting cupcakes by controlling gravity. But it's impossible for him to concentrate on his inventions when he's experiencing his own personal Big Bang. Arlo Brody is dividing the fourth grade boys into two groups. Waylon would rather be friends with everyone. Well, everyone except the scary new kid, Baxter Boylen. Waylon's older sister, Neon, is shooting away from the family. He wishes everything would go back to the way it was before she started wearing all black and saying "What's the point?" all the time. Just when it looks as though Waylon's universe is exploding, something happens to bring it all together again, and it is, without a doubt, One Awesome Thing. Waylon worries about Arlo Brody's efforts to divide the fourth grade boys into the 'shark-punchers' and the 'others'. But that's just one of his concerns. He has big plans for his future and what he wants to accomplish as a scientist, especially regarding gravity and the time-space continuum. But his sister's strange behavior and the arrival of Baxter Boylen complicate things. 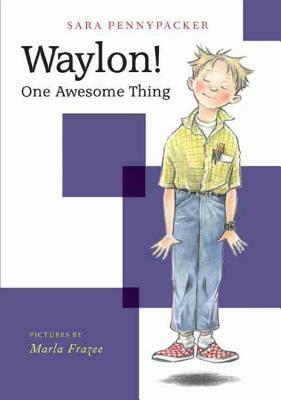 Waylon is a sweet kid with good intentions and a remarkable love of science. While his ideas don't fit in the realm of reality yet, his sincerity is undeniable. I especially enjoyed reading about his relationship with his sister and how as an 'isthmus' he tries to help his sister and parents reconnect along with his classmates. But it takes a dog in trouble to really help bring everything back together. Pennypacker has created another character just as winning in his own way as Clementine, but oh so different. A thoroughly engaging and welcome addition to early chapter book series for younger 2-4 grade readers. Larry is an adorable red-nosed dog that likes to run away from his pal, Pete and explore the world around him. 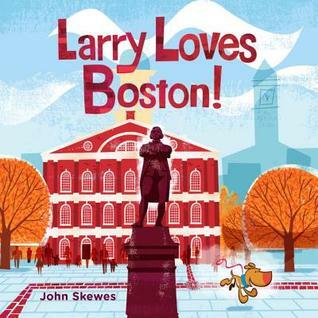 In this cute board book, Larry is exploring some of the historical sites in Boston, Massachusetts. He passes along the Freedom Trail, Feneuil Hall along with the Samuel Adams statue, The Old State House, Old North Church, and other significant places in the city. My favorite was his stop at the Public Garden where the duck statues from McCloskey's Make Way for Ducklings are located. Meanwhile, Pete search for his buddy and the reader follow's Larry's cute figure throughout the story. This board book is a fun way to introduce the preschool set to the idea of place and to history. Just like the locals, Larry the pup loves the Washington Monument, the Lincoln Memorial, the National Air and Space Museum, the White House, and many of the other sites and sounds of Washington, DC. 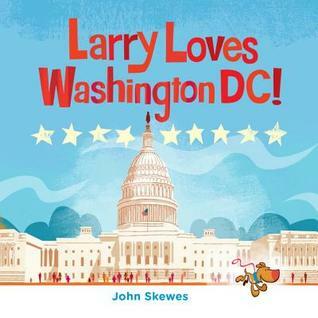 This board book based on the popular Larry Gets Lost in Washington, DC, features vibrant retro illustrations of this great American city and the perpetually lost pup, Larry. Larry, an adorable little pup, once again escapes his boy, Pete, to explore a famous city. Traveling through many of the sites that D.C. is best known for (including memorials, museums, and the White House). 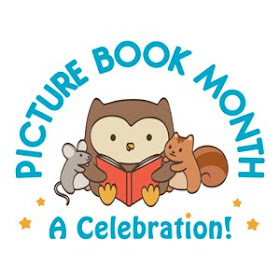 In my opinions, one of the funnest aspects of this series is the opportunity to find where Larry is lurking in each picture, creating a search and find part to the story, sure to be enjoyed by the youngest listeners. There is plenty here to look at and discuss with young children. This fun, photo-filled, and fact-packed bird guide will make kids Stop! Look! and Listen! to find the feathered friends right in their own backyards. From ducks to hawks, sparrows to sandpipers, kids will learn how, where, and when to spot birds all over the United States. 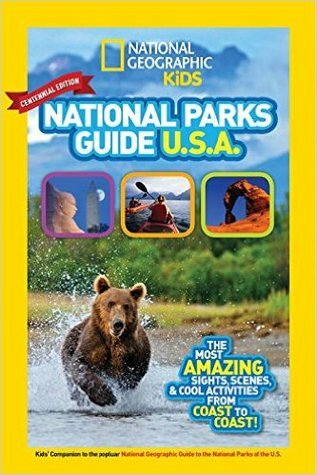 With tons of info and interactivity prompts, it's the perfect companion for backyard or field trip, camping or vacation. Durable and portable, it's just right for pocket or backpack. Fields guides are intended to help observers identify specific objects. 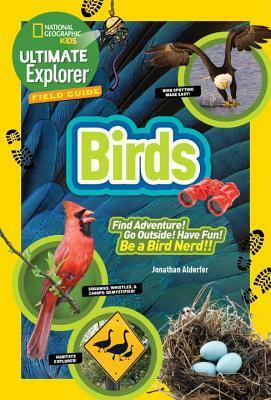 This particular field guide is intended to help children identify birds from North America. Each entry gives brief information about the common and scientific names of the bird, it's range, feeding habits, and specific appearance traits that make the bird easier to identify. There are, of course, beautiful photographs as well as special features that look at specific habitats, extinct birds, and strange bird behavior. This would make a great gift for young animal lovers who like to try to identify what they see in their own backyard. 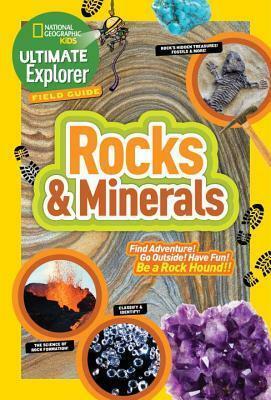 This fun, photo-filled, fact-packed guide to rocks and minerals will get kids outside to discover the amazing world underneath their feet. Created for the ultimate explorer, this book gives kids the knowledge and skills they need to identify just about anything they dig up and become true rock hounds. With tons of info and interactivity prompts, it's the perfect companion for backyard or field trip, camping and vacation. Durable and portable, it's just right for pocket or backpack. Rock collecting is a hobby that many people enjoy, especially children. As it is also a curricular topic, a field guide that describes some of the differences between rocks and minerals and ways to identify the different types is very useful. This particular field guide is specifically for young readers, providing basic information about the most common rocks & minerals, their chemical makeup and features. 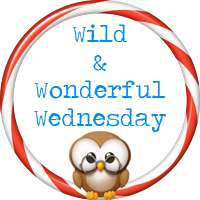 A fun book for children who love to browse or go out and look for the real thing. A great resource for teachers as well. Every nation that invades the City gives it a new name. But before long, new invaders arrive and the City changes hands once again. The natives don't let themselves get caught up in the unending wars. To them, their home is the Nameless City, and those who try to name it are forever outsiders. Kaidu is one such outsider. He's a Dao born and bred--a member of the latest occupying nation. Rat is a native of the Nameless City. At first, she hates Kai for everything he stands for, but his love of his new home may be the one thing that can bring these two unlikely friends together. Let's hope so, because the fate of the Nameless City rests in their hands. I absolutely adored this book, not only for it's diverse content, but for the great characters, plot, and gorgeous graphics. This is definitely a graphic novel series that I will be adding to my favorites shelf. The story revolves around a young boy named Kaidu who has come to the Nameless City to get to know his father, a Dao general. But as he quickly learns, the Dao are simply the latest invaders to conquer the city and are resented by the native population. 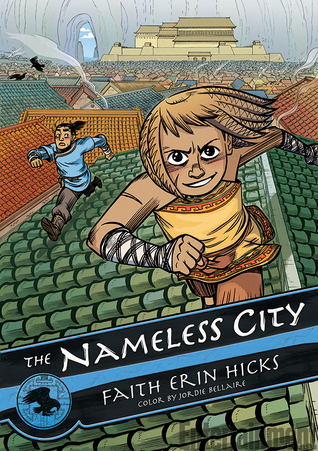 When Kaidu slips into the city on his own, he meets a native street girl named Rat, whose parents were killed by the Dao. With some persistence (and bags of food), he convinces her to teach him how to run and leap over the rooftops the way she does. In the process, both young people learn things about each other. Rat (the girl) learns that not all Dao are the same. Kaidu learns about the history of the city and the cost of peace. Kaidu's father sets out to propose the city be ruled by a council made up of the three surrounding nations as well as locals, but it isn't until the local ruler is threatened that Kaidu and Rat start to see the danger to not only they city, but those they care about as well. I loved the gorgeous illustrations of not only the characters but the city itself. I found myself thinking about the city as almost a character in and of itself. And when Rat tells Kai about how the local population has submitted to so many invasions for survival, it caused me to really stop and think. While the setting is fictionalized as are the peoples and characters, there is much of the real world to be seen in the story of friendship, survival, greed, and just what real strength is. This is a series that should be found in most libraries and that I heartily recommend. Definitely worthy of the rave reviews it's been getting. Two kids on a rescue mission. A mysterious realm of living metal. One secret that will change the world. For Phoebe Plumm, life in affluent Meridian revolves around trading pranks with irksome servant Micah Tanner and waiting for her world-renowned father, Dr. Jules Plumm, to return home. Chief Surveyor for The Foundry, a global corporation with an absolute monopoly on technology, Phoebe's father is often absent for months at a time. But when a sudden and unexpected reunion leads to father and daughter being abducted, Phoebe and would-be rescuer Micah find themselves stranded in a stunning yet volatile world of living metal, one that has been ruthlessly plundered by The Foundry for centuries and is the secret source of every comfort and innovation the two refugees have ever known. Cam Baity and Benny Zelkowicz have fashioned an intensely inventive, engaging, and thought-provoking tale of two worlds on a collision course and the two young rivals who find themselves on the front line. 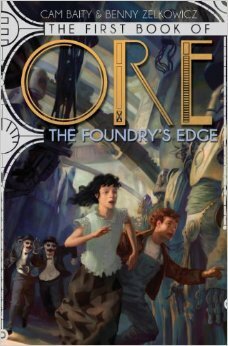 The Foundry's Edge is the first book in a trilogy that will transport young readers down a mechanical rabbit hole and send them on an adventure that explores the hidden costs of indulgence, the perils of unchallenged nationalism, and the world-altering power of compassion and conviction. 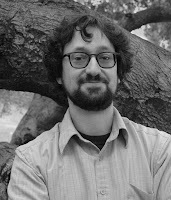 Cam Baity is an Emmy Award winning animator, and his short films have screened around the world, including at Anima Mundi in Brazil and the BBC British Short Film Festival. His credits include major motion pictures like Team America: World Police and The SpongeBob SquarePants Movie, and popular television shows such as Robot Chicken and Supermansion. Benny Zelkowicz studied animation at CalArts and made the award winning film, The ErlKing. 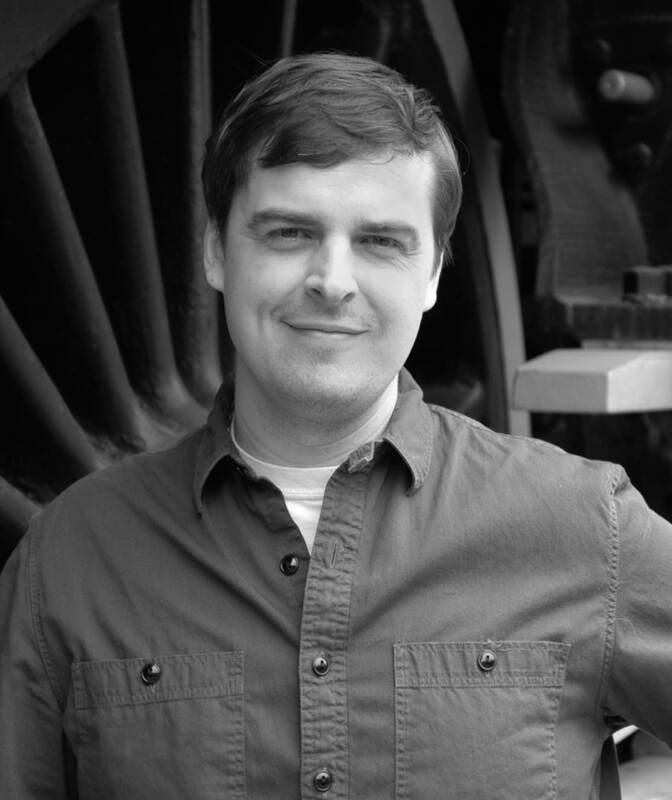 He directed and starred in the BBC/CBC animated series Lunar Jim, and worked on The LEGO Movie as well as several TV shows including Robot Chicken and Moral Orel. I'm pleased to say that middle grade science fiction is a genre that continues to grow and develop. The Foundry's Edge joins that growing field of books. Baity and Zelkowicz have created a rather intriguing world full of technology. A world that carries a heavy dependence on metals (thus the name of the series, The Books of Ore). This dependence and control is taken for granted by the two main characters, Phoebe and Micah, up until they run head first into the source that the Foundry uses to produce all the technology that they are used to. It turns out that the rabid nationalism and history that the two have been taught in school is far from accurate and as Phoebe and Micah struggle to find Phoebe's missing father, they have to confront the evils of what the Foundry is doing. (The Foundry being the dominant producer of materials in the country of Meridian). Phoebe and Micah are interesting characters in that they are not particularly likable at first. Phoebe is the daughter of a rich doctor who works for the Foundry, and as such is used to being rather spoiled. She takes every slight as an excuse to 'snipe' someone, pulling pranks that range from seriously annoying to down right dangerous. She and Micah are clearly at war as the book opens and are not at all happy that they end up having to work together to try to find her father. This adds some interesting realities to the story as they struggle to refrain from attacking each other all over the place. On the other hand they both have some serious skills that aid them on their travels (Phoebe's ability to innovate and Micah's mechanical skills definitely come in handy). Overall, an interesting series that raises interesting ethic questions as well as personal ones through a rather compelling story of a society run amok. Phoebe Plumm and Micah Tanner are a long way from home and entrenched in a struggle with no end in sight. The Foundry, an all-powerful company that profits off the living metal creatures of Mehk, is unleashing a wave of devastating attacks to crush the rebel army of mehkans known as the Covenant and capture Phoebe and Micah, dead or alive. But the Covenant believes that their ancient god, Makina, has chosen Phoebe for a sacred task: to seek the Occulyth, a mysterious object they hope can turn the tide against the Foundry. With her father gone, Phoebe's once unshakable determination is broken, and while Micah tries to uphold the vow he made to protect her no matter the cost, their enemies are closing in and time is running out. 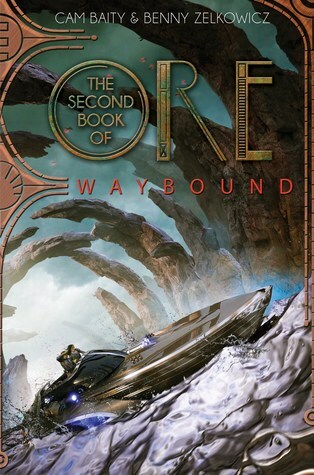 Cam Baity and Benny Zelkowicz are thrilled that their Second Book of Ore novel, Waybound, is now available from Disney-Hyperion! To whet your appetite for the series, here is an excerpt from the first volume of the trilogy, The Foundry's Edge. Take a look! The longer she stared, the more the stranger seemed to peel out of the gloom. Phoebe parted the shimmering drapes and pressed her nose against the window to get a better look. From her thirdstory bedroom, she could just barely make him out: a sharp black suit and bowler hat, a pale face with a thick curving mustache, and round black spectacles like two holes punched in his face. What could he be doing at his hour? Bird-watching? Stargazing? Maybe he was planning a heist. If so, he wouldn’t get past the top-of-the-line security system her father had installed. It would certainly be a hoot to watch him get caught and see all the servants running around in a frenzy. Still, the stranger was unsettling. Who wears dark glasses at night anyway? Nobody, Phoebe Plumm realized with a sigh. There was no intruder. No stranger down there at all, just her imagination swirling in the mist. The most exciting thing she usually saw on her nightly watches was a tomcat scuffle or a sudden whirlwind of leaves, so she was left to invent things huddling in the dark for her own entertainment. Phoebe didn’t sleep well anymore, so she often gazed down from her twelve-foot-high picture window in the murky hours before morning. She watched with the hollow hope that a flare of headlights might sweep up the hammered-steel driveway. The last time her father had returned from one of his business trips, he arrived at four in the morning, and Phoebe was downstairs and in his arms before he could get his bags out of the trunk. This was his longest trip yet—three months, nearly four. So Phoebe maintained her vigil, waiting every night for him to return. She rubbed her bleary eyes and glanced out the window again. Just as she expected, the stranger was nowhere to be seen. He’d probably never been there at all. Phoebe ran a finger across the greasy smear her nose had left on the window, just the sort of thing that got Mrs. T anner’s apron in a bunch. She placed a dozen handprints on the glass for good measure.Hopefully the old cow will take her frustrations out on Micah, she thought. She yanked the silver curtains closed and padded across her enormous bedroom. Platinum sconces crafted to look like palm fronds glowed with a cozy light, illuminating when Phoebe passed. As she approached a shiny door, she heard the pleasant hum-click of precision machinery, and the shutters automatically withdrew like graceful fingers to reveal her Carousel. It was a cavernous chrome closet with concentric, mechanized rings that bore hundreds of outfits. Phoebe tapped an oval pedal neatly inlaid into the floor, and the Carousel began to rotate in a swooshing parade, showcasing each garment beneath a soft spotlight. Phoebe watched vaguely as her clothes whizzed past, metal filigreed fabrics sparkling like fireworks. It took five whole minutes to cycle through them all. Finally Phoebe made up her mind, released her foot from the pedal, and the Carousel eased to a stop. A slender hydraulic arm unfolded and presented the chosen outfit to Phoebe—a cream-colored silk shirt decorated in darts of copper mesh. Selecting a skirt was easier, since she wore the same one pretty much every day. The gray diamond-patterned fabric was fraying at the hem, and it was so big on her she had to cinch it in place with a belt of interlocking metal triangles. Phoebe knew the girls at the Academy whispered about her ratty old garment, but she couldn’t care less. Within its pleats, Phoebe had sewn secret compartments that contained her arsenal: a little coil of wire, a tube of Speed-E-Tak cement, a needle and thread, a small vial of machine oil, a bent nail, and a handful of other odds and ends. This was her sniping skirt. It felt like home, a relic from so many of her memories, worn so often that it was velvety soft to the touch. Phoebe’s cheek had caressed this skirt a thousand times when she was a kid. It had belonged to her mom, whose familiar scent used to linger in the fibers. But that was long gone. She slipped into her clothes and took a look at herself in the full-length, oval mirror. Phoebe had inherited her father’s long, almond-shaped face as well as his lanky build. Her wispy limbs and slender hands were okay, but she loathed her big awkward feet more than anything. And she was too tall for a twelve-year-old, teetering over most of her classmates, so she always slouched a bit to compensate. Phoebe slapped some pink into her pale cheeks. Though her pinched mouth and needle-straight eyebrows made her look stern, her eyes were a luminous honey brown that exuded tenderness, a weakness she hid behind choppy dark bangs. Her haircut was pretty much a disaster, with the left side trimmed in a clean line that grazed her shoulder, and the right side bobbed short and jagged. Mrs. Tanner had insisted on styling it the other day, and Phoebe had hated the result. So she had taken a pair of scissors to it herself, roughed one of the sides, and removed all the drab symmetry. It didn’t look good, exactly, but at least now it was her haircut. Phoebe swept her ragged locks behind her ears and pushed the button on her octagonal jewelry box, which bloomed open like a mechanical rose. Inside, a dozen different Trinkas dangled from hooks, each sparkling with tinted precious metals and lacey ornamental carvings. Ever since the Foundry had introduced these little mechanical pets, Trinkas were fashion necessities. Phoebe chose a plump one covered in soft gold bristles with a big happy mouth, emerald eyes, and bouncy appendages. When she held the Trinka at her throat and turned the key, the device extended two of its limbs and gathered them loosely around her neck. Giggling adorably, the Trinka swung back and forth like a necklace with a mind of its own. Phoebe wrinkled her nose. She had worn this model for the last few days, delighting in its joyful swings, but today she found it dull. She rifled through the top drawer of her dresser, already crammed with unopened gadgets and gizmos, and stuffed the fuzzy Trinka among them. Its muffled giggles faded as the mechanism wound down. She selected another Trinka from her jewelry box and ripped off the tag. This one reminded Phoebe of a tiny octopus. It had teddy bear eyes and four paddle-shaped tentacles beneath a bulbous silver head. When she pushed a hidden button, ruby light glowed from within the Trinka, making the paper-thin metal shell appear translucent. The light exposed infinitesimal clockwork innards, pumping and tittering, pulsing like a heartbeat. The Trinka sprang into the air, somersaulted in place using its spinning tentacles to stay aloft, and then landed in Phoebe’s hand with a soft chime of bells. It clung to her wrist like a bracelet as its light faded, leaving the surface opaque and reflective again. Phoebe approved. She grabbed a strawberry-flavored Honeygum for later and slipped it into her skirt pocket. The sparkly beehive container was small and easy to hide, and she liked the challenge of pouring the syrup into her mouth without getting caught by her teachers. Better yet, chewing the candy goo once it thickened helped pass the time during the dull day. Phoebe put on a pair of low-heeled black shoes with silver straps and snatched her gray, bell-shaped hat. She unlocked the embossed platinum doors and slipped into the dark corridor. A distant clatter of activity rang down the hallway, the sound dampened by the brocaded carpet. She gazed up at the triangular skylights set into the vaulted copper ceiling. Even though dawn was barely starting to blush the sky, the servants were already bustling about downstairs. The smell of fresh muffins filled her nostrils as she descended a marble and gold staircase, each step carved to look like a feather, and entered the lavish dining room. As always, Phoebe’s breakfast was waiting on the burnished brass table that was as long as a shipping freighter. Today’s selection included mini Parmesan quiches, blackberry pancakes, pork hash, and cinnamon toast. Mrs. Tanner always griped that Phoebe was malnourished, but really she was just never hungry. And she hated sitting at the monstrous table all alone, staring at the repeating patterns of shells and parallel lines in the metallic wallpaper until her eyes crossed. Phoebe filled a cup with black coffee, popped a piece of cinnamon toast on a saucer, and headed for the veranda. Today was sure to be a scorcher, and she wanted to breathe some fresh air before it got unbearable outside. She slunk past the open door of the kitchen, which rang with clanging pots and pans, the hiss of an automatic Dish Wand, and the chatter of a Televiewer. A shriek of laughter made Phoebe flinch. The cackle belonged to the chef, Mr. Macaroy, and she peeked in to see the commotion. Mrs. Tanner was scolding a maid, who had evidently done something that tickled the fancy of the hyenalike chef. Mrs. Tanner’s sausagey arms were jiggling with every gesture, but Phoebe couldn’t hear her sputtering because the Televiewer in the corner was playing the news at full blast. The tall nickel-framed screen showed a severe man with a slick helmet of hair and a long scowling face. It cut to footage of some recent protest overseas, uniformed soldiers on horseback confronting angry citizens. Trelaine’s capital city was in the background, a clot of hulking buildings beneath a miserable sooty sky. Ignoring the dull drone of the news, Phoebe made for the filigreed door that led outside. She braced herself for a snap of cold morning air but was met instead by tepid mush. The city was in the grips of a heat wave, and summer was creeping up. Phoebe loathed the heat, but she would endure the perpetual sun of the Azsuri Crescent if it meant a few months of freedom from the Academy. Birds sang cheerfully as she sat at a silver table draped with a silk tablecloth and laid her breakfast down. Phoebe sipped coffee and nibbled at her toast, gazing out upon the vast courtyard of herringbone-patterned hedges and titanium fountains. Plumm Estate sat atop a huge terraced hill, situated perfectly to take in the wonder of Albright City, capital of all Meridian. It signaled to Phoebe like a grand beacon, a horseshoe of gleaming skyscrapers that wrapped around the semi circular bay. A suspension bridge extended from the c enter of the horseshoe to a solitary island teeming with high-tech smokestacks, warehouses, gargantuan factories, offices, and shipping docks. They were so densely packed that from afar it looked like the circuit board of an enormous Computator. This was the Foundry—the apex of technology, the epicenter of innovation. And soaring above the bridge, brighter than everything else, was the Crest of Dawn. It stole Phoebe’s breath every time she saw it. The Foundry’s magnificent logo was the pinnacle of this famous skyline, towering higher than the tallest building in Albright City and marking the only entrance to the island. Held aloft by two titanic columns on either side of the bridge, the Crest of Dawn was a sculpted sunburst thousands of feet high, an explosion of glittering beams erupting in glorious metal fire. Phoebe had visited her father’s office at Foundry Central lots of times, and driving on the bridge beneath the Crest was always a thrill. No matter what time of day it was or where you were in the city, it was always the most brilliant point on the horizon. It was said that the sunburst could be seen from twelve hundred miles away, causing many to wonder what kind of metal it could possibly be made from. The Crest of Dawn was perfection. Phoebe didn’t register the icy jet of water until it smacked her face. It blasted the cup from her hands, dousing her with hot coffee. She staggered back and looked down, mouth agape. Her burning eyes scanned the courtyard for her assailant. There he was, in the mud beside the irrigation pipes, wheezing for breath. The filthy little twerp tossed aside the tools he had used to crank up the water pressure and clutched his belly in hysterics while the garden hose thrashed like a gutted snake. He was laughing so hard that his stupid, freckled face turned a grotesque, blotchy shade of purple. He pointed one muddy finger at Phoebe before collapsing backward in a snorting spasm of laughter. “Gotcha!” he managed to squeak between choking guffaws. It was Micah, Mrs. Tanner’s ten-year-old son and the grease monkey of Plumm Estate. Phoebe wanted to scream curses in his ear until he was deaf, then strangle him with that stupid hose. Mr. Kashiri, the Plumms’ doughy gardener, ran up and grabbed Micah by the collar to reprimand him, but the lunatic hose sprayed him as well, which sent Micah flailing into another fit of giggles. At last, Mr. Kashiri snatched Micah and dragged him away through the hedges. Phoebe knew what would come next, because it had happened too many times to count. Whenever Micah antagonized Phoebe, he had to answer to his mother, who used a heavy hand in her discipline. The next time Phoebe saw him, he’d have a fresh bruise or some awful new chore. Normally, she felt a twinge of guilt when Mrs. Tanner punished Micah. Not this time, she thought as she looked at the coffee stain on her shirt. This time he’s gone too far. Now, any dimwit could play a joke, as Micah had proven time and time again. But Phoebe didn’t do jokes. Her attention to detail elevated her above the average prankster, which was why she referred to her careful art as “sniping.” She always made her attacks appear accidental, like a dose of rotten luck. For example, she might separate the supports in a recliner so the person sitting in it would slip between the cushions, or maybe she would file notches in the keys on someone’s key ring to render them useless. But Phoebe was righteous with her snipes, using them only on people who truly deserved it—like Micah. He was obnoxious and clumsy, and he had absolutely no respect for anyone. She had hated the little jerk ever since his first day on the job, when she had caught him trying to pop birds around the feeder with his slingshot. He was the ideal target. At first, Micah had thought the snipes were his older brother Randall’s doing, but eventually he caught on to Phoebe. He tried to expose her as the culprit behind things like the hot pepper in Tennyson’s cereal and the earwigs in Mr. Macaroy’s pillow. When that didn’t work, he resorted to pestering her any chance he got. Unfortunately for him, it won him a whupping every time. As she used the tablecloth to wipe herself off, her mind raced through all sorts of vengeful scenarios, and the minute Micah’s laughter faded, she leaped into action. Phoebe rushed off the veranda, leaving the mess behind for the staff to sort out, and flew down the steps to the manicured courtyard. She glanced around to make sure no one was watching, and then marched through the silver arbor that led to the lane of servants’ quarters. Phoebe’s golden brown eyes sparkled as she headed for Micah’s work shed. Excerpted from THE FOUNDRY'S EDGE © Copyright 2014 by Cam Baity and Benny Zelkowicz. Reprinted with permission by the publisher. All rights reserved.